FAMILY BUSINESS: ROBERT COLLIER, THE MASTER OF JAMES PHIPPS I, SILVERSMITH. 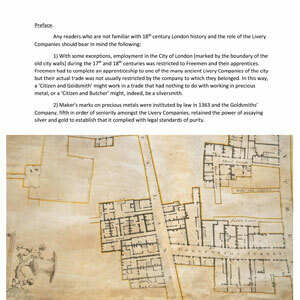 An examination of the links between the Collier and Phipps families of Witney and London. Now amended to include new information relating to Elizabeth Collier. previous post: JOHN FOSSEY AND JOHN FESSEY: A CONFUSION RESOLVED. next post: TWO CURIOUS GOTHIC LETTERS AND LOUIS HAMON, SILVERSMITH.